Bartolomé Esteban Murillo was born in Seville, the youngest of fourteen children born to father Gaspar Esteban, a barber-surgeon, and mother María Perez (the artist followed the traditional Andalusian custom of adopting the name of his maternal grandmother, Elvira Murillo). The family was financially comfortable and had a good, respectable social standing in the town of Seville. Tragically, both of Murillo's parents past away within only a few months of each other in 1627 and 1628, when the boy was only ten years old. 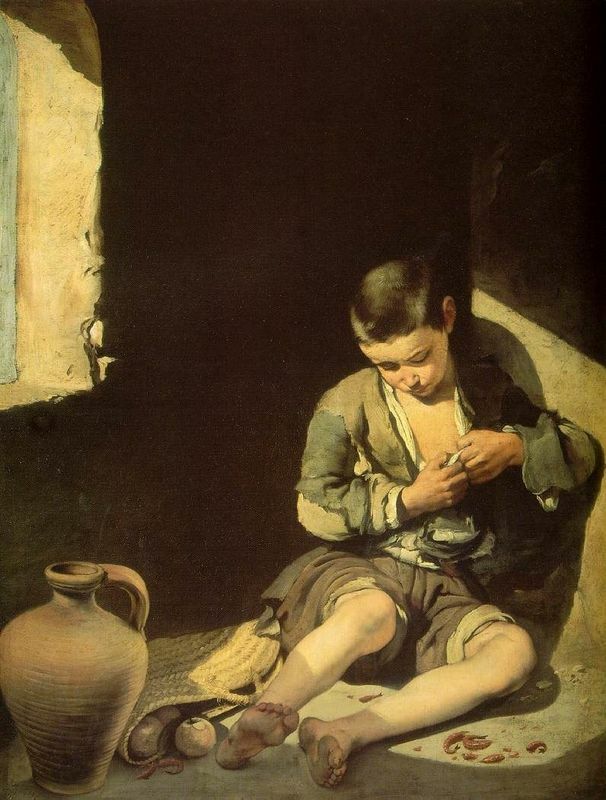 Little Murillo was sent to live with his older sister Ana and her husband, Juan Agustín Lagares, also a barber-surgeon. Luckily for Murillo, he was born into a family of artists. Uncle Antonio Pérez was a painter who was married to the daughter of another successful Sevillian artist named Vasco de Pereira. All the daughters of this couple also went on to marry painters. Murillo thus must have been exposed to the visual arts from a very young age, and probably around 1630, when he was about twelve years old, Murillo was apprenticed to the local painter Juan de Castello. Not much is known about Murillo's first years as an art student and painter. In 1633, the fifteen-year-old drafted a will in preparation for a voyage to the Americas, where several members of his family had already emigrated, but he appears never to have actually made the trip. 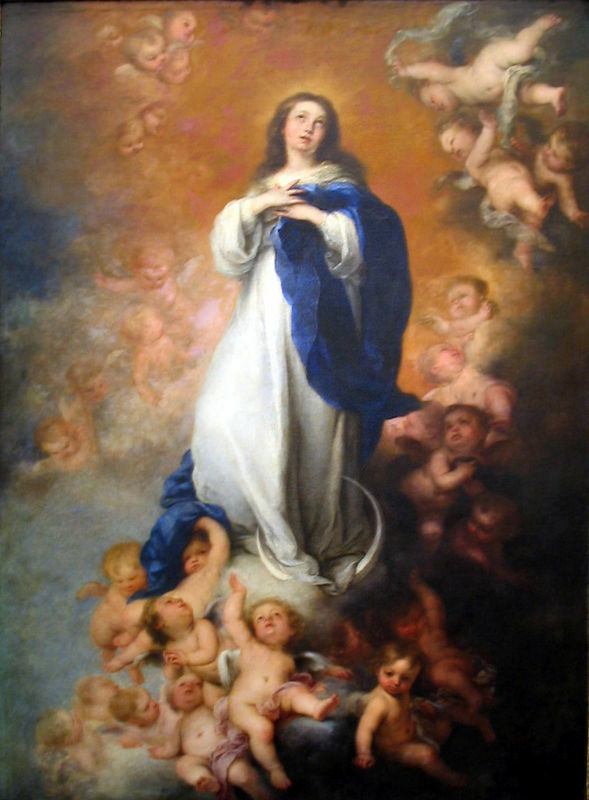 In Seville, Murillo got his start as a professional artist by painting decorations for festival and creating artworks for export to the Indies. Contemporary accounts suggest that Murillo may also have visited Madrid during this period, which would have proved very inspirational for the young artist. 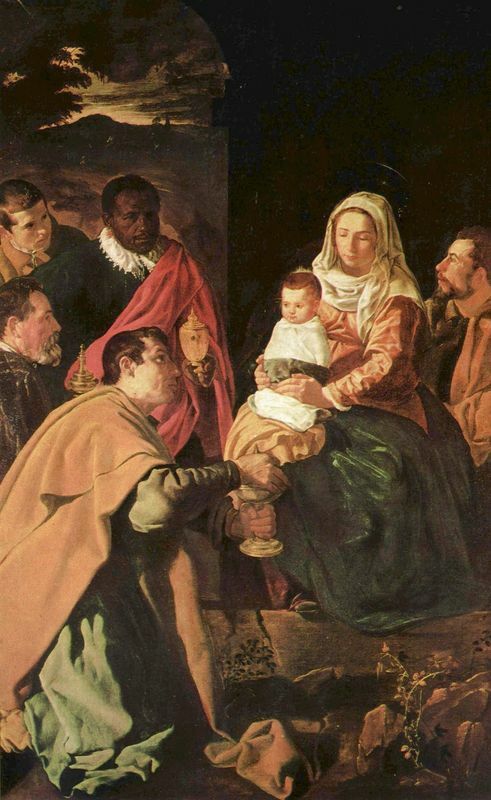 The year 1645 was the turning point for Murillo. In this year, the painter married the wealthy, socially prominent Beatriz Cabrera y Villalobos (with whom he would have eleven children). 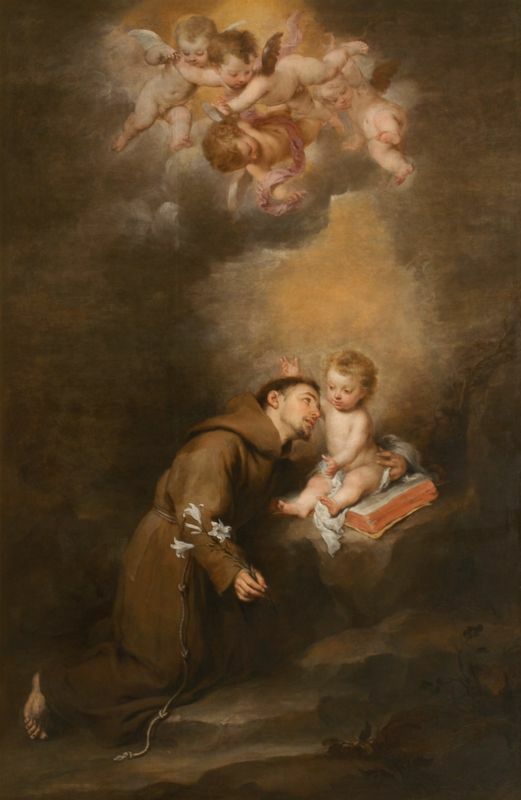 The same year, Murillo received his first important commission for a Franciscan convent: a series of paintings illustrating the miracles performed by saints of the Franciscan order. This commission was to be the first of a veritable flood: over the course of the decade, Murillo would quickly grow to oust older rival (and stylistic inspiration) Zurbarán as the most popular painter of Seville. During these years, Murillo was forced to move with relative frequency, most likely in order to accommodate the frequent births (and deaths) of his children. However, despite these mounting family responsibilities as well as other obstacles, most notably, the disastrous plague of 1649 and a tumultuous uprising of textile workers in 1652, the end of the 1640s and the 1650s were Murillo's busiest years as an artist. In fact, in 1656, Murillo had the honor of executing Seville's largest altarpiece ever (Saint Anthony of Padua). In April 1658, Murillo followed the rest of Spain's most important painters on their way to Madrid, where he most likely hoped that Velázquez (who was about to be inducted into the prestigious and elite Order of Santiago) would be able to throw some important royal commissions his way. Given that Murillo was already back in Seville by December of the same year, this aspiration obviously went unfulfilled, but nonetheless while in Madrid he had the opportunity to study the royal collections as well as Velázquez's paintings, both of which would have a major impact on Murillo's future work. After returning to Seville, in 1660 Murillo had the immense fortune to see one of his lifelong dreams finally accomplished. Throughout his career, Murillo had fought for the establishment of an academy of art in Spain, such as existed elsewhere in Europe. Finally, Spain's very first arts academy, the Real Academia de Bellas Artes de St. Isabel de Hungría, opened its doors in Seville. Modeled on the art schools in Italy, the Real Academy's early sponsors were Murillo's patrons the Conde de Arenales and, from 1673 on, the Marqués de Villananrique. 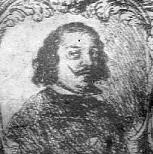 Murillo himself was elected the Academy's first president, jointly with fellow Sevillian artist Francisco de Herrera the younger. His new position only lasted a few years, however: as of 1663, artist Juan de Valdés Leal took over as president, and Murillo grew increasingly distant from the school. Art historians are unsure if Murillo's relations with the academy ceased due to his displeasure at being ousted by the arrogant Leal, as Murillo's biographer states, or if the artist was simply too busy to continue with his administrative duties. Throughout the 1660s, the honors and accolades just kept accumulating for this incredibly popular painter, the only Spanish painter whose works were well-known outside of Spain (even Velázquez wasn't widely known in the non-Hispanic world until the 19th century). 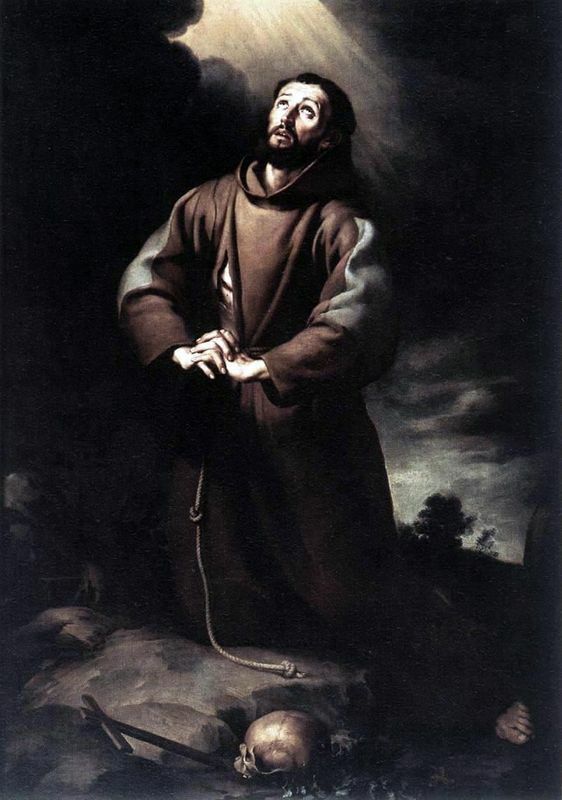 In 1662, the pious Murillo was admitted into the Franciscan Venerable Order Tercera; his document of registration called Murillo a "famous painter who is the admiration of Europe, only in Spain, his land, is he unknown and less esteemed." Murillo's popularity did not wane towards the end of his life, as it did for less fortunate artists like Zurbarán. If his professional success continued undiminished, however, tragically his personal life did not fare quite as well. Sadly, after moving once again in 1663, this time to the Parish of St. Bartolomi, his wife of twenty years passed away. 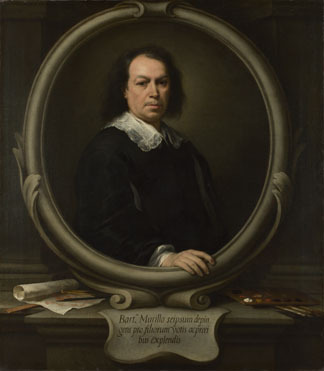 Despite this personal tragedy, the 1660s proved to be the busiest period of Murillo's entire career: his portraits from this time are amongst his best and most profound, and it was also during this period that Murillo executed the majority of the genre pictures of children for which he is most famous. Success can have its downfalls, forever, and in Murillo's case the said downfall was literal. In 1680, Murillo received a commission to paint the main altarpiece for the Capuchins church in Cádiz, a great honor for any artist. Tragically, one day while working high up on a scaffold, the accident that all artists fear occurred: Murillo fell. He wasn't killed on the spot, but died after a few months of terrible pain. 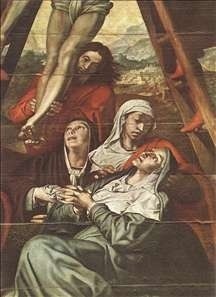 Murillo was buried in front of his favorite painting, in accordance with his wishes: Pedro de Campaña's Descent from the Cross in the Cathedral of Seville (the same burial place as Christopher Columbus).